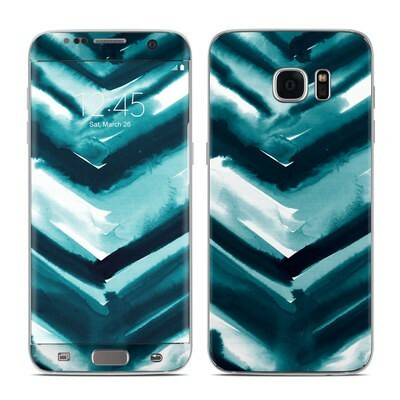 Remember, we offer over 1000 pieces of art as skins for your Samsung Galaxy S7 Edge. Went to Ireland this past year! The Celtic Tree design reminds me of that very nice trip! I always get compliments on this skin because it's so unique. The skin fits perfectly and I get a ton of compliments on the floral print. I just love this abstract watercolor look. It's almost like a colorful marble - beautiful! I already have this and wanted a new one...for some reason the front top strip doesn't stay, I guess it's from slipping it in and out of a case but that's okay, I'll just order another when I need to. I love these "Bricks"! Beautiful and premium quality skin. Only issue is that it's not a perfect fit, especially the shape of the home button. Overall satisfied. The High Gloss skin is extremely shiny, feels very premium and just has this amazing feel in your hand! I had some issues applying mt screen protector. Not sure if it was an issue with the screen protector, or the surface of the High Gloss skin. The Matte/Satin one feels soft, The High Gloss version feels more slippery, much like high quality glossy photo paper. The skin was extremely good looking, it looking, just too bad my screen protector's glue was in so little places and didn't stick very well. This is most likely related to the screen protector though, any other screen protector night work just fine. I really recommend the High Gloss version of the skin, Personally I think it looks way prettier than the Matte/Satin finish, just because it's so very shiny. I definitely recommend this skin to anybody thinking to buy it. 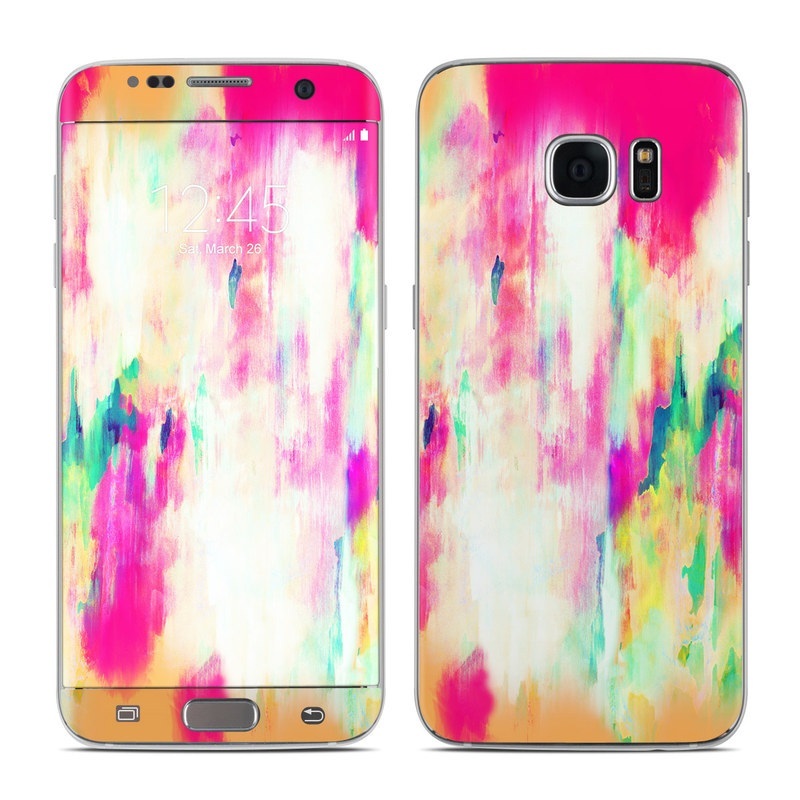 I love the design, I should have ordered it in a glossy finish though. 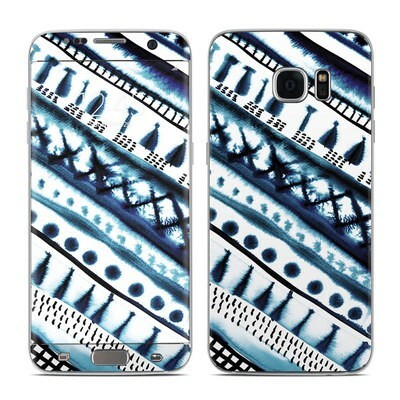 I have a clear case on my phone which dulls the design, I think the glossy finish would have made it POP more than the matte finish. I love this skin! I stupidly didn't change the default matt to my regular gloss that I always order but I still like the look. I notice now that I got my first matt skin that it seems a bit thicker feeling, although I could be wrong. 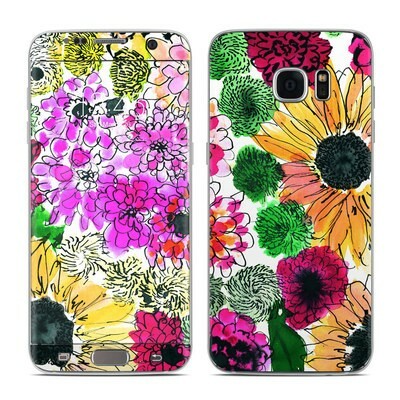 I mention this because I always use my Decalgirl skins with a clear backed case over several phones now. I'm using a Spiegen case. The back decal was fine but the top and bottom pieces did peel up when I put the case back on so I had to take those off. I have a Samsung S7 edge. Overall I like this artist's designs. Decalgirl is the best though, hands down. I wouldn't buy from any other decal company. Fits the phone perfectly! 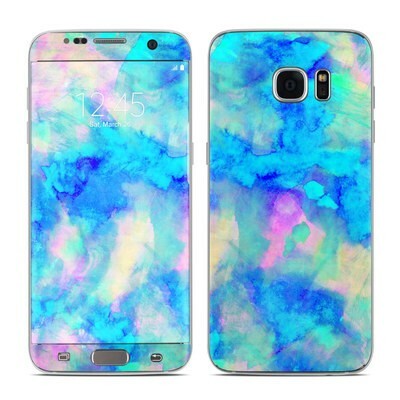 Good quality and comparable to other skins offered by other website!